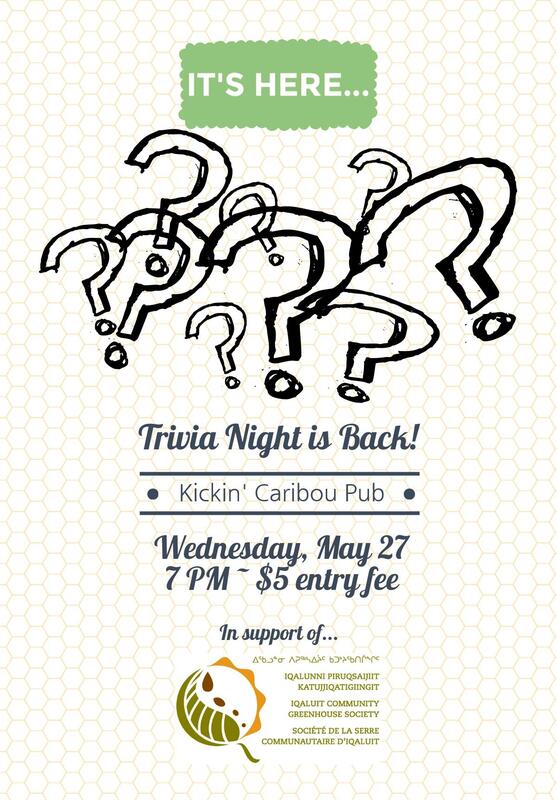 Come on out to the Kicking Caribou at 7pm Wed May 27 for our first of the summer trivia night. Groups of 3-5 are accepted (if you have no group, come out anyway and join another group!). 2015 Season Memberships for the community greenhouse will be available as well. It is $75 for the the season. Greenhouse board members will be on hand to answer any questions you might have about the greenhouse. See you there! !